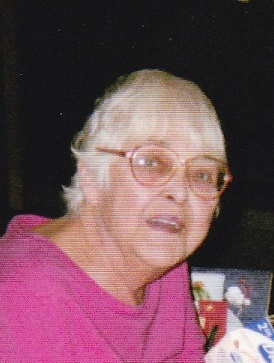 FROSTBURG- Elizabeth Marie Kunkle, 77, of Frostburg went to be with the Lord on Saturday, January 26, 2019. Elizabeth was the daughter of the late Evangeline (Bennett) Gust and step-father George Redmond. She is preceded in death by her husband Donald Eugene Kunkle and daughter Beverly Nadine Kunkle. Mrs. Kunkle was the best mother and homemaker that God put on this earth. While her children were in school, she served as homeroom mother. After raising her children, she worked in several accounting offices, and worked in management and sales. Mrs. Kunkle volunteered for the Frostburg Museum and the Palace Theater. She was a member of the Diving Mercy Parish, St. Michael’s Catholic Church and helped with several church activities. She is survived by her daughter Patricia Kunkle of Frostburg, brother Albert Winebrenner and wife Fran of Tennessee, and a special friend of the family Joe Fatkin. “Mom you will be missed and my whole heart went with her forever.” Family and friends will be received at the Sowers Funeral Home on Thursday from 6 to 8 p.m. A Funeral Mass will be celebrated on Friday, February 1, 2019 at 11:30 a.m. with Father Eric Gauchat, O.F.M. Cap. serving as Celebrant. Interment will be in Frostburg Memorial Park.